From Goodreads ~ Penny the basset shows up at the Borlands’ Connecticut farmhouse on a cold, snowy day - head held high, tail wagging, as if she were a long-awaited guest. Hal and Barbara Borland were no strangers to strays. Pat, the rabbit hound thousands of readers came to know in "The Dog Who Came to Stay", had also appeared one winter, staying to become the family’s dear companion. Now Pat is gone, and Hal and Barbara are bereft without canine company. They fall in love with Penny - and she seems to fit right in. Penny is a delightful dog - short-legged, flop-eared, full of fun and curiosity. And she loves people, so much so that she leaves the Borlands to go visiting elsewhere, often settling in with a different family for days on end. Indeed, Hal and Barbara admire her for her spirit of individuality and independence. Though she never truly belonged to them, the Borlands agreed that Penny was a dog well worth loving - and so will readers. 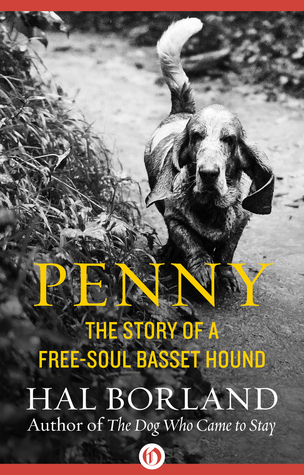 This is the true story of Penny, the basset hound. Hal and Barbara Borland were authors who lived on a farm in Connecticut. One day a basset hound arrived at their door. They fed the dog and let her stay with them while they tried to find out the owner. Not able to find the owner, they decided to keep her and named her Penny. 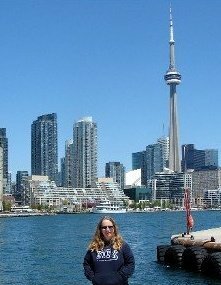 Being a basset hound, Penny liked to wander and was welcomed in the community. Sometimes she'd be gone for a couple hours ... sometimes she'd be gone for days. They considered her a "free-soul" ... rather than keeping her contained, they let her roam free. Personally I wouldn't have because it didn't sound safe ... she could have been hurt in the woods, run down by cars, etc. but it was a different time and a different place. Penny could be frustrating when she caught the scent of a rabbit or chased the nearby cows. But deep down, Hal and Barbara loved Penny and she loved them in her own way (and she loved everyone else too). This book was originally published in 1972 (Hal and Barbara are long gone). It was a simpler time ... Hal and Barbara played records, there was no Internet and people actually called each other on the phone and/or wrote letters. Despite being written more than 40 years ago, I liked this book ... I enjoy stories about dogs and animals. I finally read The Incredible Journey last summer, and I loved it too. I'm not sure I've ever read a story about a Basset hound, but Penny sounds lovely!